"About Them Liam Neesons Though"
That's right, I said Liam Neesons, with an 's' at the end. This is no typo. Those familiar with the hilarious Key & Peele sketch in which Neeson is the center of a discussion between two valets, played by comedians Keegan-Michael Key and Jordan Peele, will know all about them Liam Neesons. 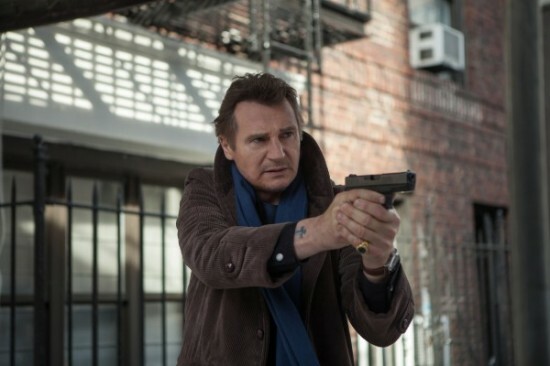 This week, A Walk Among The Tombstones brings Neeson back to the forefront of a particularly enthusiastic discussion regarding his awesomeness, which began for him after Taken, a film which transformed Neeson into one of the baddest action stars over the age of 50. Those expecting this film to be more in the vein of Taken or even Non-Stop, which was released earlier this year, will either be pleasantly surprised or slightly disappointed in this more grounded, and overall quieter film. 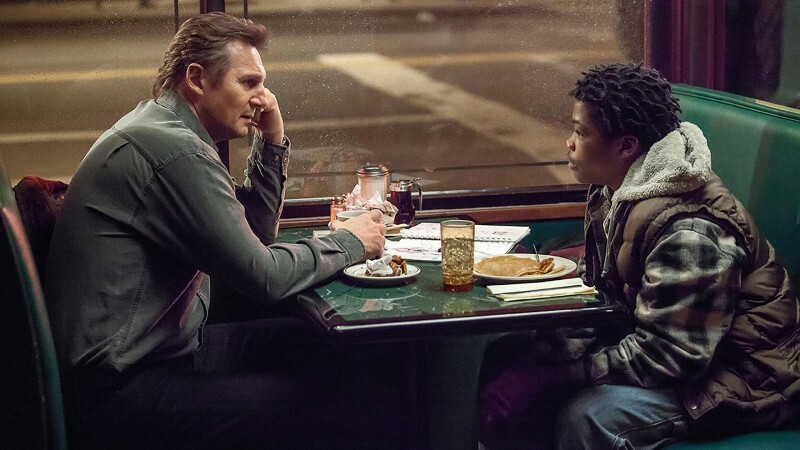 Neeson plays retired NYPD cop and recovering alcoholic Matthew Scudder, from Lawrence Block's crime thriller novels. When things get rolling, we understand that Scudder has become a private investigator whose services are in demand when a drug dealer hires him to find those responsible for his wife's murder. Naturally, the investigation is dangerous and full of mystery, but if we know anything, we know that this is nothing that Neeson couldn't handle, even on his worst day. Again, this is an understated motion picture, which gives us many moments of Neeson prowling the streets of late 1990s New York like a panther with a scowl and a thirst for answers as he races to put together the pieces of this mystery. This is not to say that there aren't any of those classic 'Neeson-is-a-badass' moments because there are, it's just that there are probably less of them than you want. This film actually strives to go beyond what we expect from a Neeson action movie as it depicts a more realistic world that feels less like a Hollywood 'shoot 'em up' motion picture. Audiences will have to get used to the fact that this film really isn't a high-octane actioner, though there are slight beats in the film that might dip into action territory. Here, Neeson is not the superhuman action hero who can soundly put down ten baddies all by himself with relative ease, bare handed I might add. Rather, he portrays a more layered, fully fleshed out, flawed human operating in a space where fist fights are more of a struggle, the threat of death feels real, and consequences exist for the actions the characters take. Personally, I think this feels like a welcome space for Neeson to occupy. Aside from Neeson, who obviously is the biggest draw of this film, there is a stellar cast supporting him. 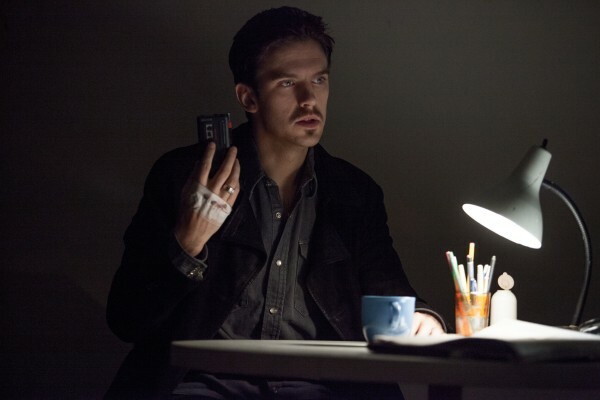 English actor Dan Stevens, who many know as Matthew Crawley from Downton Abbey, is not too shabby here as the drug dealer Kenny Kristo. He is quite believable as a man with vengeance in his heart. The film's primary antagonist, Ray, played by David Harbour is downright disturbing to watch. His simmering wickedness oozes from the screen. The biggest surprise though, was Brian "Astro" Bradley, who plays TJ, Scudder's sidekick turned associate. Having last seen him in this past summer's more family-friendly Earth to Echo, Bradley turns in a decidedly more mature performance, which was nothing short of stellar. He came off as quite genuine, if he was intimidated at all by sharing scenes with the accomplished Neeson, he didn't show it. He is an actor to watch. If I had any issue at all with this film, it would have to be that for Neeson to be an ex-New York cop, his Irish accent creeps in quite a bit and sometimes gets mixed in with the sounds of the distinct New York accent, which he is attempting to emulate. This is clearly a nitpick I have, but it would have been better if Neeson had played it straight. True, the character he portrays is New York-based, but I believe it is possible for him to still be an Irishman based in New York, but it is what it is. That is really an issue most would note in any of these movies in which Neeson plays a North American peace officer, or former peace officer. It is not really a big deal because admittedly, you forget about it after a while and also Neeson's charm is enough to make you overlook it. Only in moments when the accents pop in an out inconsistently is where you notice. The action renaissance of The Neeson is as hot as ever and shows no signs of slowing down. With a third Taken film on the way, those feeling less than satisfied with A Walk Among The Tombstones, which among other things, offers a more realistic and rather disturbing look at the dark side of the human psyche, will have to wait until next year for Bryan Mills to make his return. Until then, this movie will be the one to teach you about those Liam Neesons, if you didn't already know. The Twin Towers make a welcome appearance. With this film opening a week and a day after the thirteenth anniversary of the 9/11 attacks, seeing the World Trade Center felt comforting. Liam Neeson's New York accent occasionally slipped.